1 cup regular coffee with salt and olive oil. Salad with greens, avocado, nuts, seeds, olives, green grapes, blue berries, raspberries, raw almonds, hulled sunflower seeds, olive oil, balsamic vinegar, sea salt & cracked pepper. Bowl of steamed white rice with sea salt, balsamic vinegar and olive oil. Beef caldereta. 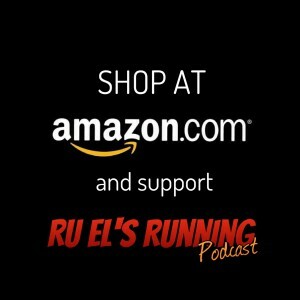 Since Rich Roll’s book, “Finding Ultra”, I’ve been inspired and learned about a way to make the changes I want to meet my health goals and hopefully my athletic goals. Since completing his book, I’ve become vegetarian and feel great. To date, I’ve shed 14 lbs in less than 2 months. A large part of the transformation was my morning green smoothie which my 1 yr old son also enjoys with me. Since I love a good green smoothie, I naturally appreciate the tips from the above No Meat Athlete’s “5 Easy Ways to Get Even More from Your Smoothie”. Wednesday – 4th of July Holiday. Rest & Vacation. Thursday – Rest & Vacation. Friday – Rest & Vacation. Saturday – Rest & Vacation. Sunday – Rest & Vacation. Inspired by Rich Roll’s Finding Ultra, I’ve modified by diet and decreased my meat consumption and trying blending nutrient dense foods. Lost 3lbs coming back from vacation. For the trip I packed a 6 pack of V-8 juice, and several CLIF bars. When eating out I opted for veggie options if available. Otherwise, I’d pick the veggies off of dishes. Managed to find a Blenders shop in Goleta and asked them to modify their green juice menuitem to a shake, which included some fruit. Monday – 01:00:01 hr run. 4.3 mi, 13’54″/mi, 161 bpm. Friday – 01:01:58 hr run. 4.7 mi, 12’59″/mi, 158 bpm. 64°F, 14 mph winds. Checked out the local Sprouts and picked up Spirulina, Coconut Oil, Chia seeds, and Brazil nuts. Pretty excited about adding these foods to the blender. Been making my own shakes. Enough for a glass in the morning and another kept with ice in my insulated Camelbak water bottle. My coffee consumption has reduced in the morning and been replaced by my green shake. Monday- No meat. tested new shoes on trail. Wednesday – No meat. Same trail run as Monday. No shirt. Friday- No meat. Extended route of Wednesday trail. No shirt. Saturday – Ate meat for dinner. Homemade Spaghetti with meat sauce, and leftover Chinese takeout of sweet/sour pork&shrimp. Sunday – No meat. Tried a V-8 mix with chia seeds and spirulina in the morning and on-the-go. What an energy kick! Tuesday – Weigh-in this morning showed I dropped from 153 lbs to 151.6. Monday – 01:01:04 hr run. 4.78 mi, 12’46″/mi, 173 bpm. 75°F, 9 mph winds, 47% humidity. Tuesday – 00:50:52 min run, 3.33 mi, 15’18″/mi, 158 bpm. Wednesday – 10 min intense jump rope, leg curl machine, leg extension machine, squat machine, standing double and single leg free squats, 50 unanchored situps. Thursday – 01:06:34 hr run. 4 mi, 16’38″/mi, 154 bpm. 68°F, 9 mph winds, scattered clouds, 60% humidity. Friday – 10 min intense jump rope, leg curl machine, leg extension machine, squat machine, standing double and single leg free squats, 50 unanchored situps. Monday. First run back from 10 day break. Have some tightness around right knee. Tuesday. Have some twinges around right knee. Monday – 01:01:00 hr run. 3.5 mi, 17’08″/mi, 144 bpm. 77°F, 8 mph winds, 50% humidity. Tuesday– 10 min intense jump rope, leg curl machine, leg extension machine, squat machine, standing double and single leg free squats, 50 unanchored situps, gym floor laps carrying 2 25lb plates, crunch medicine ball. Thursday– 01:00:01 hr run. 4.0 mi, 14’39″/mi, 153 bpm. Friday– 10 min intense jump rope, leg curl machine, leg extension machine, squat machine, standing double and single leg free squats, 50 unanchored situps, crunch medicine ball. Wednesday. Morning weight 147.8 lbs. Was 156 lbs at the start of July. One month vegetarian. Feeling lighter, healthy, and strong. At this rate, I can be at goal weight at end of August. Thursday. Morning weight 150 lbs. Friday. Morning weight 148.4 lbs. Monday – 01:04:57 hr run. 4.6 mi, 14’06″/mi, 159 bpm. 64°F, 7 mph winds, 68% humidity. Tuesday– 10 min intense jump rope, leg curl machine, leg extension machine, squat machine, standing double and single leg free squats, 50 unanchored situps. Thursday– 10 min intense jump rope, leg curl machine, leg extension machine, squat machine, standing double and single leg free squats, 40 Vertical Leg Lift, Knees Bent (Dip Bars), 10 pullups assisted. Saturday – Kaleo bday. Didn’t get my green smoothie. Had a couple hotdog buns, tortilla chips and nacho cheese. Tons of pastries and couple cupcakes. Plus my turkey chili which is actually good except non-veg. Sunday- Didn’t eat clean. Non-veg again, had another bowl of turkey chili. Tuesday– 10 min intense jump rope (includes 30 double unders), leg curl machine, leg extension machine, squat machine, standing double and single leg free squats, 40 Vertical Leg Lift (Dip Bars), 50 standard situps, 40 situps with 12 lb medicine ball ab smashes, 20 seated overhead shoulder presses. Thursday– 00:57:35 hr run. 4.8 mi, 12’00″/mi, 179 bpm. 68°F clear, 8 mph winds, 68% humidity. Friday– 10 min intense jump rope (includes 44 double unders), leg curl machine, squat machine, standing double and single leg free squats, 50 Vertical Leg Lift (Dip Bars), 30 seated overhead shoulder presses. Monday – Morning weight 147 lbs. Green smoothie morning. Strung myself along with fat (olive oil) throughout the workday. Avocado and tomato sandwich and nuts for dinner. Tuesday – Morning weight 143.8. Wednesday – Morning weight 146. Friday – Morning weight 144.6. Gym work. Sunday – In N Out NON-veggie lunch. Double-double meal. Noticed the meat taste was not as appealing as I remembered before the diet chance. Also sometime after finishing the meal, I felt sick. Especially from the smell of it all. Tuesday– 10 min intense jump rope (includes 40 double unders), leg extension, standing double and single leg free squats, 50 Vertical Leg Lift (Dip Bars), 30 seated overhead shoulder press, seated lat pull-downs, medicine ball crunches, yoga ball situps. Monday – Morning weight. Not much change (144.6lbs) despite not eating clean over the weekend. Tuesday – Gym work. Ab focus. Saturday – Ate a n In N Out burger. The patty still tastes horrible. Will have to quit it entirely. Wednesday- 12 min intense jump rope (includes 40 double unders), leg extension, standing double and single leg free squats, 50 Vertical Leg Lift (Dip Bars), 30 seated overhead shoulder press, seated lat pull-downs, medicine ball crunches & twists. Tuesday – 01:08:12, 15’53″/mi, 4.29 miles, 150BPM, 68°F, Clear, 8 mph wind, 60% humidity. Thursday – 00:26:55 mins, 8’58″/mi, 184BPM, 64°F scattered clouds, 7mph wind, 73% humidity. Tuesday – Morning weight: 141.6 lbs. Wednesday – Skip rope, leg machines, shoulder press, lat machines, leg lifts. Thursday – Morning weight: 141.6 lbs. A 3 mile time trial on trail. Not used to the intensity the run, experienced a sick feeling in my stomach about 2.75miles. Awesome. 🙂 Max HR 197BPM. Sat – Kid party. Unclean diet. Had Slice of veg pizza during party, then a Red Robin Royal Red burger for dinner. Sun – Had cheese and a glass of wine. Trail run through slough at Redwood Shores. Wednesday – 00:50:32, 12’22″/mi, 4.0 miles, 160BPM, 68°F, Partly cloudy, 9 mph wind, 64% humidity. Monday – Morning weight: 141.4. 10 mins skip rope w/ double-unders, leg curl machine, shoulder press, GHD situps, leg lifts, dips, cable lat pull-downs. Evening snack of cheese and glass of red wine. Tuesday – Morning weight: 141.4 lbs. Wednesday – 1 mile warmup then worked at bringing my HR to 165-175 range. Some right leg soreness again.